The Station a unique bar, in that it has no interior seating and it's property is limited to a small bar alongside a pedestrian area and a pair of adjacent tent's. The lack of indoor seating should serve as no deterrent, as Taipei's warm weather is highly conducive to enjoying a cold drink outside. 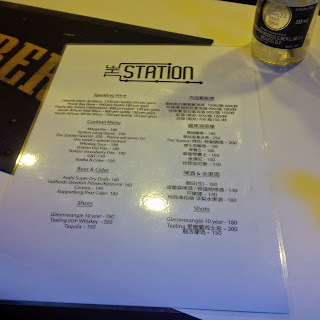 The Station offers several simple food items in addition bar selection. Imported bottled beers are available for as little as $140NT and Asahi Draft is priced at $160NT. The cocktails featured on their menu are somewhat limited; however, the prices are very reasonable. 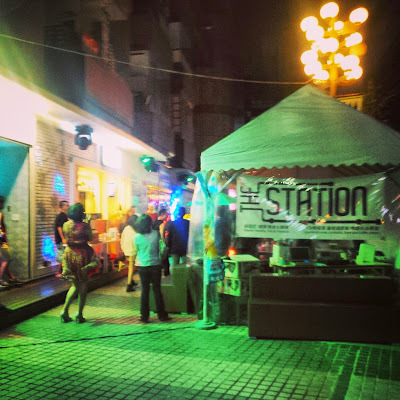 Given that there are few other bars in the area, The Station should be a stop on the route of any traveler spending a night at one of the many hotels surrounding Taipei Main-station. If you're in the area. 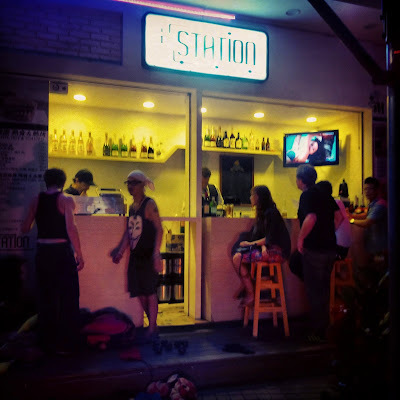 While the name likely conjures up images of a sleazy strip-club for most Westerners, Tickle My Fantasy has gained a long-standing reputation in Taipei for being an excellent little lounge for a casual drink or for the city's strongest Long Island iced-tea. 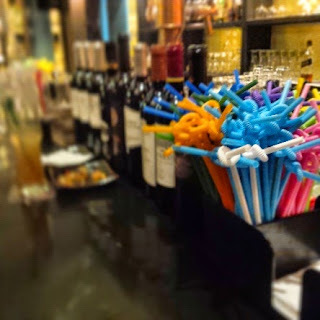 Located on the well-known bar and foreign business street of Anhe Road, Tickle My Fantasy has provided a comfortable drinking environment for locals and visitors for nearly 15 years. Tickle My Fantasy is a lounge style bar with an excellent selection of wines and spirits; however, beers are limited to Heineken, Guinness, and other foreign macros. Tickle My Fantasy's most famous drink is their potent Long Island iced-tea. The drinks are priced very fairly for a Taipei lounge bar. 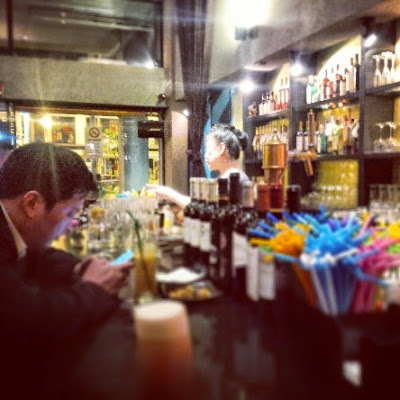 As it's open seven days a week, there's no reason not pay a visit to classic Taipei-bar like Tickle my Fantasy.